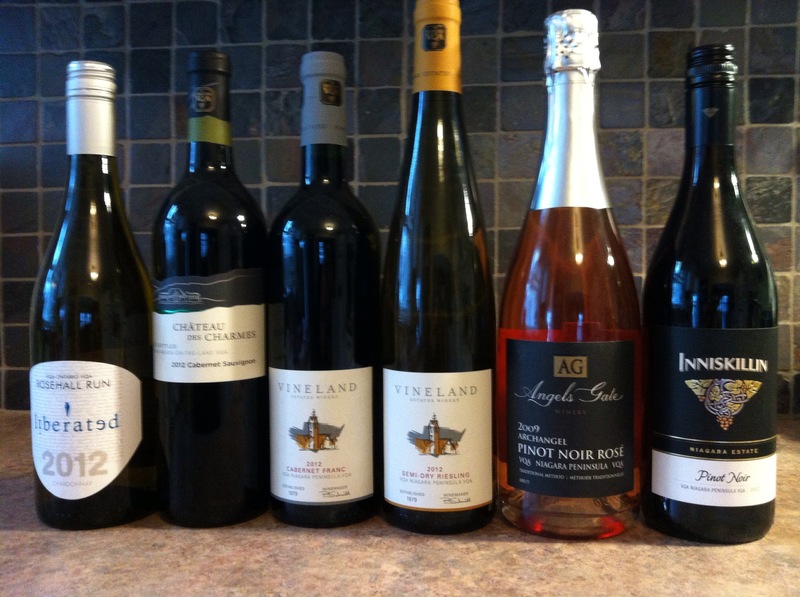 I was lucky enough to win a six-pack of VQA wines via a contest that Wine Country Ontario held in the fall. The contest asked to pair a local VQA wine with a pie and give the reason why it would be a great match. My winning entry was my Mom’s apple pie paired with an Ontario Chardonnay, such as the Château des Charmes 2012 Chardonnay. I thought the replay of toasty green apple flavours in the wine would work well with the flaky crust and spiced apples in the pie. The picture below shows the six bottles that I received from winning the contest. Eventhough these wines were won, I pride myself in writing the truth about what I taste (see my Chesslawn Vidal write-up here) and if any of these turn out to be plonk, I’ll write that up too. 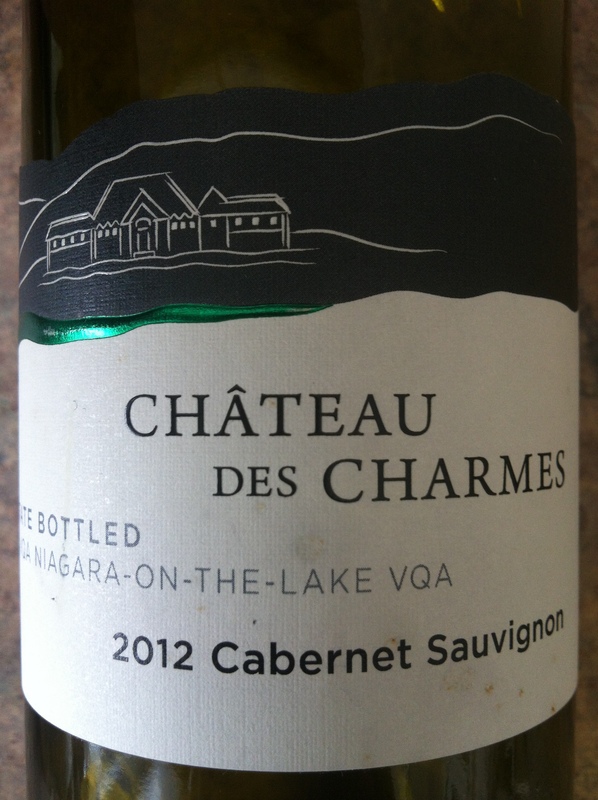 The 2012 Château des Charmes Estate Bottled Cabernet Sauvignon VQA Niagara-on-the-Lake VQA was the first bottle from the six-pack I opened. 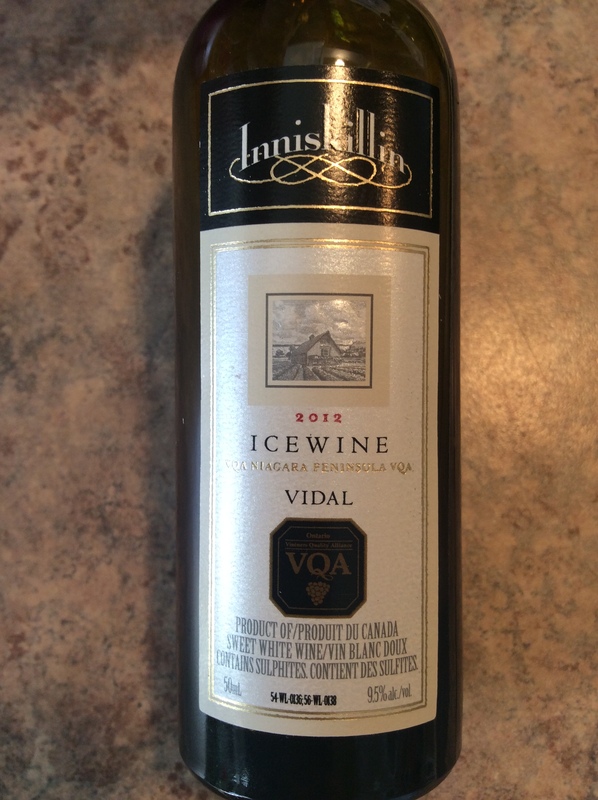 From a great Ontario vintage, I knew that this quality producer made a great wine as soon as I popped the cork. Aromas of inky black fruit and a gentle spiciness from the oak. Flavours of black cherry and black raspberry with integrated tannins and a balanced fruit-forwardness from the time spent in barrel. Delicious and supremely quaffable, drinking very well now but experience tells me that this still has a few years left to evolve in the bottle and get even better. Grab a case before this fine vintage is gone and see for yourself how it will get better with time.